At The Greenbrier Resort's Casino Club. In an agreement announced on Monday at ProFootballTalk, FanDuel will operate retail, online and mobile sports betting services for The Greenbrier Resort, located in southeastern West Virginia. 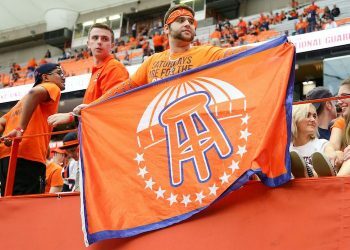 This means that coupled with its partnership with The Meadowlands Racetrack in northern New Jersey, the combination of Paddy Power Betfair and FanDuel, the second-largest daily fantasy sports (DFS) platform, will have established sports betting presences in two of the first five states that will offer legal sports betting, after the fall of the federal sports wagering ban in May, courtesy the Supreme Court. 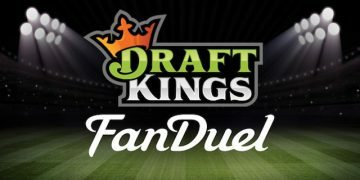 In early May, King first revealed the open secret that FanDuel, like the other major DFS player, DraftKings, would look to pivot to sports betting. Then on May 23, Dublin-based Paddy Power Betfair (PPB) announced that it was acquiring FanDuel in a move to establish a foothold in the emerging U.S. sports betting market. In March, West Virginia became the first state in 2018 to pass a bill legalizing sports wagering, pending the outcome in SCOTUS. Then on June 21, the West Virginia Lottery Commission issued the WV sports betting regulations. “This will enable [casinos and sportsbooks] to go forward to make sure their systems meet the requirements set forth in our rules, so that’s why we tried to get this done as soon as possible to expedite the process,” state Lottery Commissioner Alan Larrick told MetroNews. When systems are ready for launch, PPB/FanDuel will have the ability, according to the regulations, to accept sign-ups, deposits and wagers remotely from throughout the state. This contrasts (wisely) with regulations in other jurisdictions, such as in Mississippi, where patrons for now can only make online/mobile wagers while on casino premises. 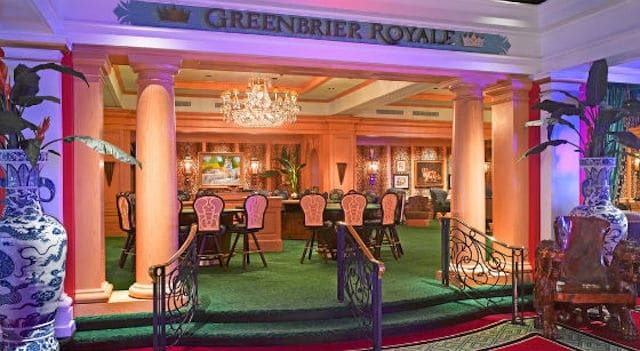 The Greenbrier plans to have an onsite wagering platform inside The Casino Club at The Greenbrier, America’s only private casino, as well as a FanDuel-branded online site and mobile application. Plans are to have the services running by the fall. The exact date will be contingent on when the state of West Virginia’s regulations are put in place. Prior to a debut at The Greenbrier, PPB/FanDuel will have had NJ sports betting experience under its belt with a July 15 launch coming at The Meadowlands Racetrack, per the Associated Press. As of present it appears that The Meadowlands’ retail and online sportsbooks will feature the PPB brand. Jeff Gural, who manages the track, gloated about the gift that New York gave him by failing to pass a sports betting bill after several starts and stops before the state’s legislative session ended on June 20. The Greenbrier is a luxury resort owned by West Virginia Governor Jim Justice and that has hosted numerous U.S. presidents. It is also host for a PGA Tour event, The Greenbrier Classic. NFL and NBA teams have held events and training camps there, with the Houston Texans set to visit this year for their training camp. A local referendum in 2008 gave approval for the facility to operate casino-style gambling, with the current “Casino Club” cutting its ribbon on July 2, 2010. The Greenbrier is located about 15 minutes from the Virginia border. The resort is one and a half hours from Roanoke, Va., population 100,000, and about a one and three-quarter hours drive from Blacksburg, Va., home of Virginia Tech. West Virginia’s temporary regulations will be in place for four months, allowing some examination before permanent regulations go into place in early December. FanDuel has not yet made its own still-under-construction sports betting platforms available for public consumption or viewing. For this, it will need PPB’s support. We expect that the product, at least on the retail side, will come to light when the Meadowlands sportsbook launches. 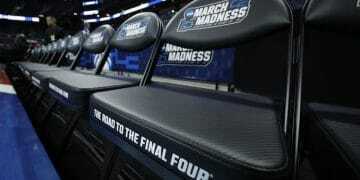 West Virginia Sports Betting: What’s Been Going On?